All three treatment rooms feature spot-scanning proton therapy, known as pencil-beam scanning. We use an ultra-fine proton beam with pencil-point precision across each layer of the tumor. Essentially, we delicately paint the tumor with radiation. It’s the ideal technology for irregularly shaped tumors near sensitive areas. Pencil-beam scanning capability also is a prerequisite for a proton center to offer intensity modulated proton therapy (IMPT). This type of highly specialized proton therapy delivers a precise dose of protons to often tight spaces. Texas Center for Proton Therapy is one of only a few centers in the country offering pencil-beam scanning with on-board cone beam CT. With all three treatment rooms capable of pencil-beam scanning, Texas Center for Proton Therapy is the largest pencil-beam proton center in the state. 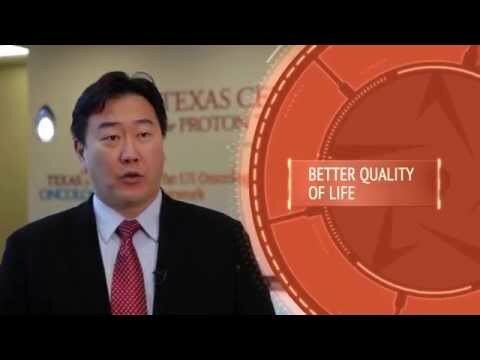 Dr. Andrew Lee, the first physician to use pencil-beam scanning in North America, explains this type of proton therapy treatment.